The Metro Times recently published their Best Of awards. 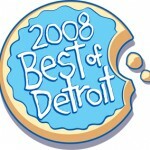 Detroit trails and bicycling walked away with a number of awards. Perhaps the most unexpected was the award for Next best thing to light rail for Detroit. The winner was the Detroit non-motorized transportation master plan. Working quietly last month, Detroit City Council heard and approved the Detroit Non-Motorized Transportation Master Plan. That sounds deathly dull, but it’s actually exciting news for the pedalists among us. Though the state had vowed to commit funds to cycling initiatives in Detroit, and Detroit’s Traffic Engineering Department had signed off on the endeavor, the plan had never been brought before council for its approval — something MDOT needed before it would help move things forward. 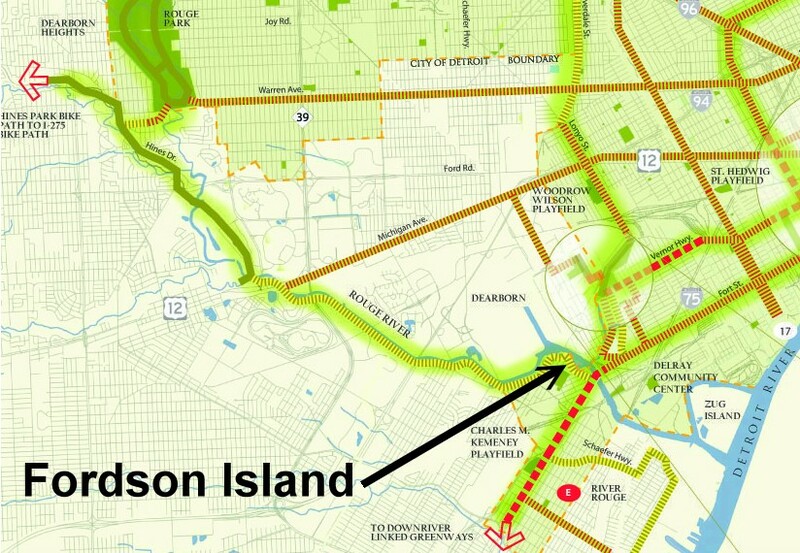 The plan ought to get cyclists pumped: It will track cycling destinations across Detroit with an eye to connecting them with a network of bike trails, lanes and greenways, calling for as many as 400 miles of bike lanes across the city. The plan’s organizers believe lanes could be painted down during normal MDOT road maintenance. And for groups wanting bike lanes in their neck of the woods, working in tandem with the city means it won’t be the uphill slog it used to be. Here are the rest of the awards. Read more about each People Poll winner at the Metro Times. Read more about the Staff Pick’s at the Metro Times. It’s been a busy week for bike advocacy and promotion in Detroit this week, which explains the lack of new entries on m-bike. My job with the Michigan Trails and Greenways Alliance take precedence over the blog! So here’s a brief recap of some highlights. All the water trail (a.k.a. blueway) efforts along the Detroit, Huron, Rouge and other area rivers. A couple University of Michigan students are continuing work to look at possible greenways within Detroit’s Woodbridge neighborhood. We discussed many possibilities within the neighbor as well as how it could connect with the Corktown/Mexicantown Greenlink, Midtown Loop, and Wayne State University. This has huge potential. Woodbridge is a very cool neighborhood. Scott Clein from Giffels-Webster gave a great presentation at the Russell Industrial Center on Tuesday. He spoke along side John Hertel from the Regional Transportation Coordinating Council. Yes, it was well-received, but what I found so positive is that we (cyclists and peds) got equal billing with some major transportation leaders. This annual event is far more than trails and greenways. It’s overriding theme is the Rouge Watershed. Still, trails are a part of efforts to improve the Rouge. They provide recreation, but also build stewardship by providing access to these valuable regional resources. If the public doesn’t have access to them, they’re much less likely to become stewards and advocates for their protection. A couple highlights stuck out at this event. First, Marathon Oil committed to making their two-thirds ownerships of Fordson Island a greenspace. This is great news. Fordson Island sits in the Rouge River just north of the Fort Street bridge. We had hoped to extend the Rouge Gateway across the island, and this announcement makes that hope much more realistic. Second, we have some great grassroots groups within the Rouge watershed. Three addressed the group at Rouge 08: ACCESS, Southwest Detroit Environmental Vision (SDEV), and the Southwest Detroit Business Association (SDBA). Lisa Goldstein from SDEV discussed many of the environmental issues facings Southwest Detroit, including the new bridge proposals. Lisa deserves some big thanks for submitting excellent comments on MDOT’s bridge proposal. Her comments noted the need to non-motorized access to Canada, as well as access within the bridge/expressway area. Kathy Wendler from SDBA gave an excellent presentation on a vision for extending the Rouge Gateway around the Fort Street Bridge and Fordson Island. This is an absolutely amazing project that really justifies the word “Gateway.” It would tie together green industries with greenways and blueways. It’s also a presents a paradigm shift. Yes, this area is heavily industrial, but it’s our heritage and we can celebrate it in very green ways.